No matter your age, your physical state – and your associated mental alertness, emotional self-esteem and spiritual contentment – are down to you. YOU can decide how young you want to look, feel, move and act. 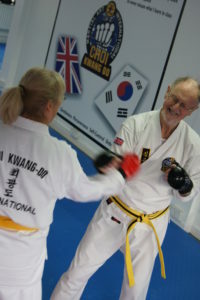 There can be no greater testimony to the Choi Kwang Do system than the conditioning of Grandmaster Kwang Jo Choi himself. His abilities are those of a man in his early twenties yet he is now in his 7th decade. It’s hard to question his claim that he’ll be ‘Younger next Year’! He is not alone; there are numerous examples of such achievement. 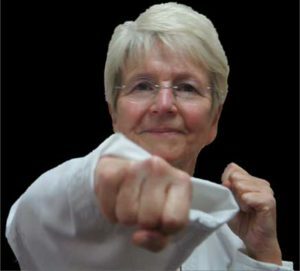 Mrs Hyum Ja Kong earned her Black Belt at the age of 90!! 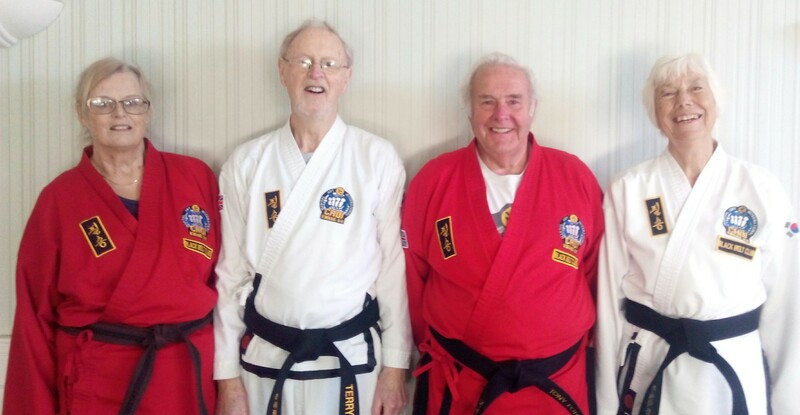 Here, at Hampshire Choi Kwang Do, we have had the pleasure of helping several students in their 70s achieve the rank of 1st Degree Black Belt. What can Choi Kwang Do do for you? Our 60+ programmes have been specially designed for more mature adults: we start where you are, at your level of fitness and flexibility. 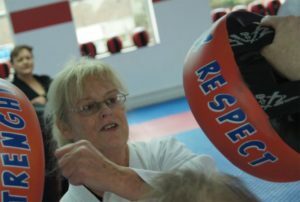 You will find that our classes help to relieve stress and get you fitter in a fun and enjoyable environment. Our programmes work on you physically, mentally, emotionally and spiritually. Physical shape: Choi Kwang Do will help you lose fat and gain muscle, redefining your body shape in a safe, positive, fun and supportive atmosphere. We cannot promise miracles, but we do believe that you will look and feel years younger – for years to come! Physical strength: if you ever need to, Choi Kwang Do will enable you to defend yourself. That is true for women just as much as for men, for older people just as much as younger. The martial arts moves you will learn will arm you with a sense of security.